YouTube needs no introduction – if you've ever watched a video clip on the web, chances are it's hosted on YouTube. The following set of tips will help you watch videos in a variety of different places, access videos not normally watchable in your country and also reveal tips and tricks for uploading your own content. Can't access a YouTube video because of where you are? Try setting up a proxy server using a program like Proxy Way – once installed, just click ProxyWay Auto-Configuration to start, then manually delete all proxies that originate from outside the country you're trying to emulate (typically US). Once done, switch the proxy off and on before configuring your browser. Don't fancy watching YouTube through your browser? Try Miro if you're looking for a standalone player with the ability to search YouTube direct, or the Yougle plug-in if you're a Windows Media Center fan (XP version and Vista version available) – a Windows 7 build is in the works. You'll also need to install FFDShow for the codecs you need. If you're a Firefox user and you install the Greasemonkey extension, you'll find 12 interesting scripts showcased at Mashable. Two particular highlights are Coralized YouTube, which may speed up file transfers if your target video is on the Coral cache servers; and YouTube Theater, which removes a lot of the distracting page furniture of the YouTube web site. Jump to the high-quality version of your selected video by adding &fmt=18 to the end of your video URL – even if no HQ button is present. Try &fmt=22 instead to watch the high-def version if it exists. Each YouTube video has code you can cut and paste into any web page or supported blog (switch to HTML view in your blog editor prior to pasting). If you have a YouTube account, you can even set up playlists, which in turn can be easily embedded into your web pages in the same way. Want to download YouTube videos in Flash (FLV) format to your hard drive? 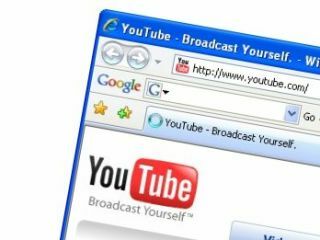 Install YouTube File Hack – it works in most browsers, although Firefox users might prefer to use the Better YouTube Firefox extension, which also includes YouTube Theater.